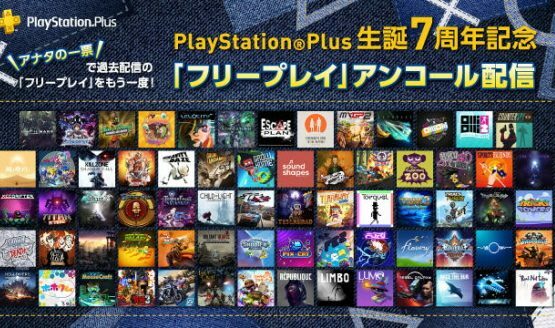 As part of a special campaign celebrating the 7th anniversary of PlayStation Plus, PlayStation Japan held a campaign where players could vote on past Instant Game Collection titles for PlayStation 4, and the top three would be given away again in July 2017. Well, the votes have been tabulated and the three PS4 games PS+ members in Japan will be able to grab again beginning on July 5 are Killzone Shadow Fall, Gravity Rush Remastered, and Child of Light. If the translation is correct, they’ll be available in addition to the regular titles in the July 2017 lineup (which are TBA). Other promotions PS+ members in Japan can expect next month include 14 months for the price of 12, a 10% off PlayStation Store coupon for those who have subscribed for more than a year, a Toro and friends dynamic theme, and a PlayStation Video coupon. In North America and Europe, the July 2017 PlayStation Plus free games will be revealed on Wednesday, June 28. There haven’t been any leaks yet, but we do know that That’s You will be offered for free to members at launch. We’ll know for sure on Wednesday if That’s You takes up one of the six spots, or if it’s an additional bonus. Also, don’t forget that the Double Discounts sale ends early tomorrow in North America and in July in Europe. Do you think Sony should offer a similar campaign in North America/Europe where past PlayStation Plus games are offered once again?